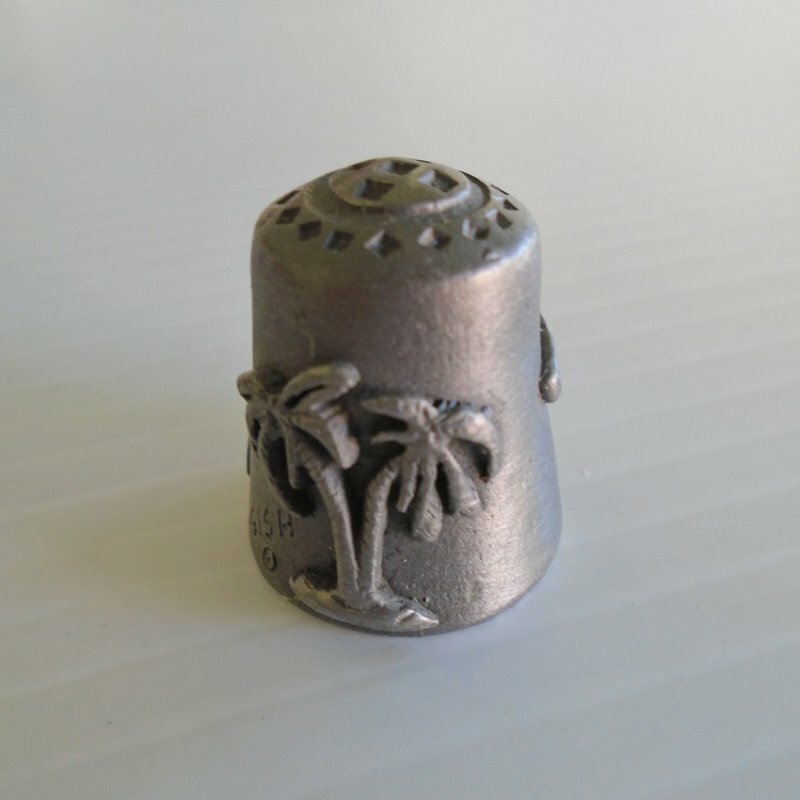 Collectible souvenir pewter thimble for the state of Florida. Signed Gish (for Nicholas Gish). 1 inch tall. Pelican, palm tree. Unknown age. 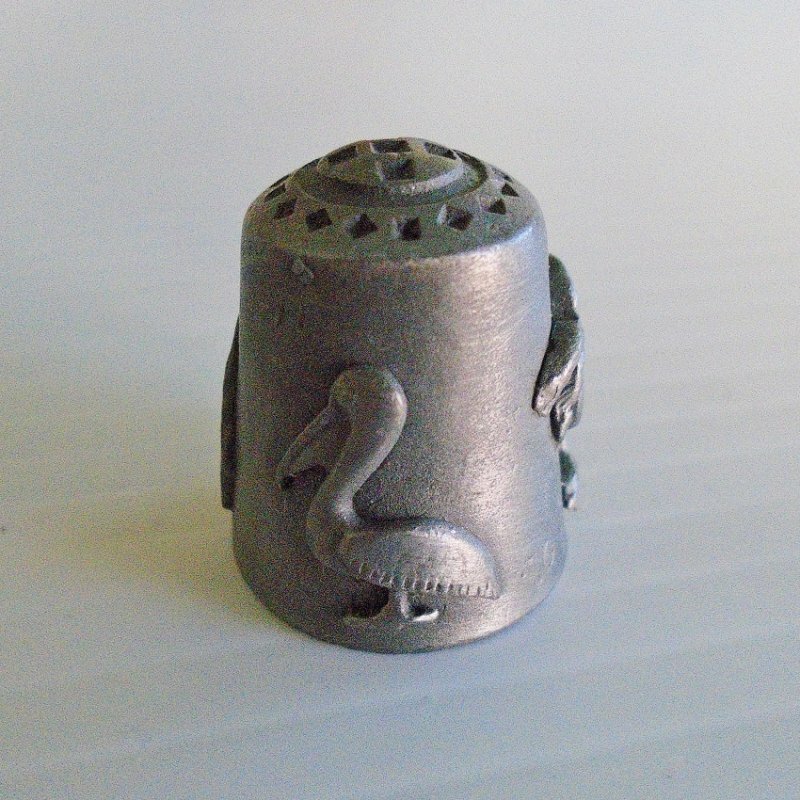 Pewter thimble with various icons that represent the state of Florida. Along the outside is a pelican, a palm tree, and a silhouette of the state. 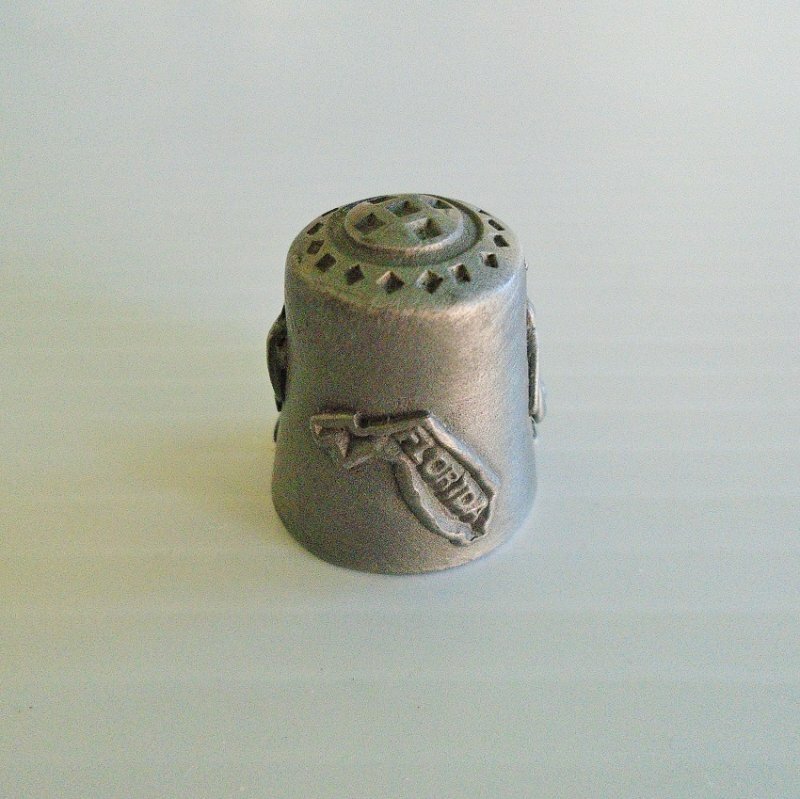 Stands 1 inch high. Signed at the bottom Gish, (for Nicholas Gish). Unknown date, purchased at an estate sale.